If you own a lawn and a landscape for a while now, you are probably used to wage war against weeds every year. But aren’t you tired of hit-and-miss trials and experiments? 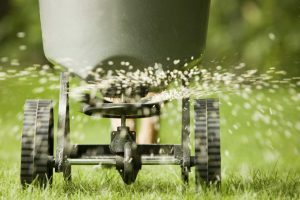 Aren’t you tired of pulling weeds all summer long and trying to mix store-bought chemicals in the right proportions to avoid burning the soil but efficiently deter weeds in the same time? Don’t you just hate it when you finally see the lawn and landscape clean only to notice weeds popping their ugly heads again a few days later? Why don’t you stand back, relax, and have your property managed by professional Fertilization & Weed control Westerville OH experts? The major problem with weed control based on store-bought chemicals is that they can harm your lawn and the environment beyond belief. For instance, some chemicals infiltrate deep into the soil’s water resources, negatively impact your turf, plants, and edibles. Some substances, if used in summer, may literally burn the soil and the grasses’ roots. Some of your plants, flowers, and ornamentals are more sensitive to chemicals than others and they can be damaged. Fertilizers and herbicides release fumes in the air, endangering beneficial insects, pollinators, and birds. Last but not least, your children and pets playing outside may also be negatively impacted by the substances you sprayed the lawn with. Environmental shock and lawn damages can be easily avoided. What is more important, however, is that proper and professional weed control can be achieved with the help of our Fertilization & Weed control Westerville OH specialists without any effort from your part. Instead of worrying about the health of your landscape, why not enjoy it? We are a team of professional and certified contractors who are trained and experienced in such lawn management activities. We won’t implement a weed control program on your property without testing the soil and the vegetation first; we will also factor in the micro-ecosystem living on your property, weather conditions, and possible ecological threats. 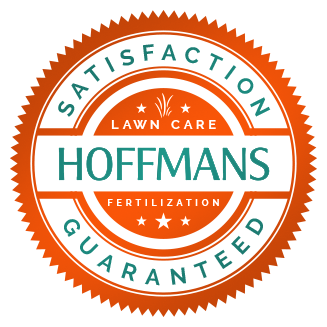 We implement a step-by-step Fertilization & Weed control program based on tailored and customized substances that mind your soil’s pH and the specifics of the vegetation you grow on your property. We always conduct follow-up sessions after applying our customized treatments to see how things evolve. We make adjustments in order to protect your lawn but deter weeds in the same time. We offer year-round services, and we also integrate them with mulch applications and other lawn management programs so you can enjoy your landscape without any worry or effort!